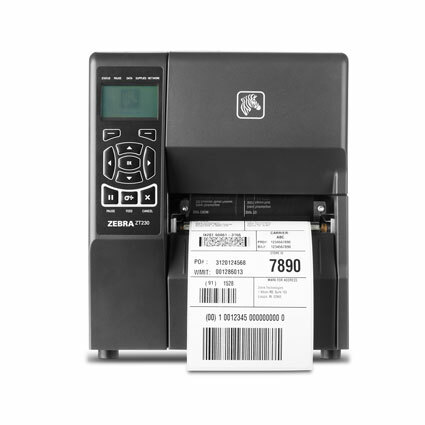 The Zebra ZT200 series barcode printer is an affordable and powerful way to maximize uptime in any high demand printing environment. 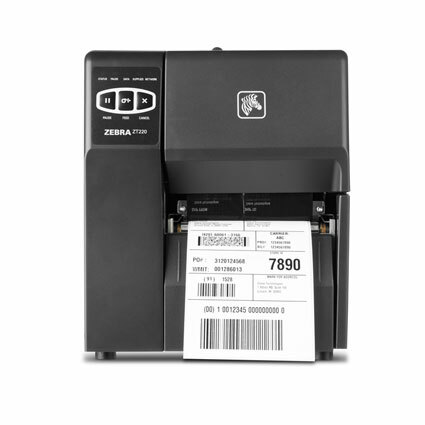 Ideal for large printing operations, including shipping, inventory management, and manufacturing operations, the ZT200 has the speed and durability you need. 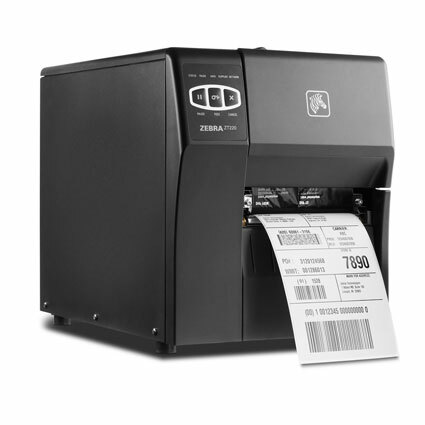 Printing direct thermal or thermal transfer labels at up to 6" per second, the ZT200 series will keep up with fast-paced manufacturing and shipping environments. 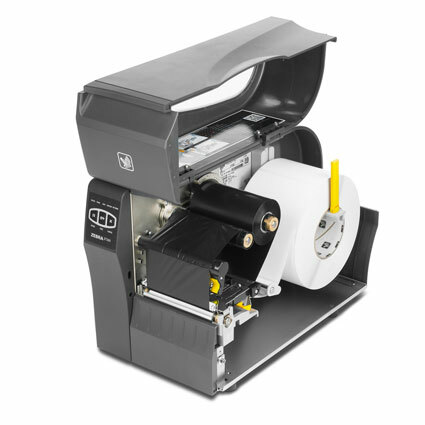 The 4" wide labels can be printed at either 203 or 300 dpi, giving you options on the level of clarity you need. 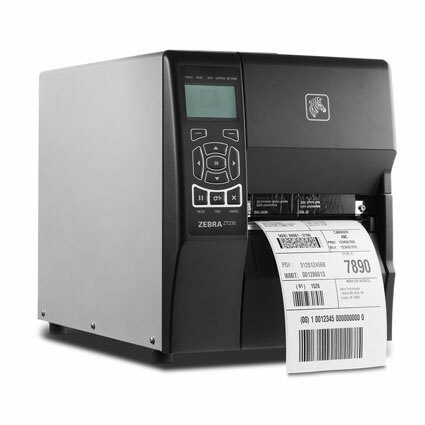 To minimize media replacement, the ZT200 supports label rolls up to 8" in diameter, keeping operations running smoothly longer. The ZT200 comes in two styles, the ZT220 and ZT230. For more economical large volume printing, the ZT220, and its polymer case is a fantastic choice. The smaller printer features three function keys and diagnostic LEDs on the face, allowing you to manage the device easily. If you need a printer to handle greater interaction and multiple printing formats, the rugged ZT230 is the printer for you. An all metal case holds up to rough abuse while the LCD display and keypad give you greater control over printer functionality. ZT220: 9.4" x 17" x 11"
ZT230: 9.5" x 17" x 10.9"
Total thickness: .003" to .010"
Core diameter: 1.0" & 1.5"